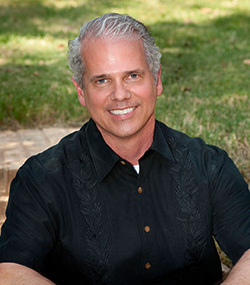 Dr. Sterling Stalder is a native to Oklahoma, born and raised in Oklahoma City. Dr. Stalder attended Southern Nazarene University for undergrad studies, and then Dental School at the University of Oklahoma. Dr. Stalder has been in practice in SW Oklahoma City for 30 years. He has attended several CE courses and continuums over the years including courses at the Pankey Institute, Pride Institute, DOCS Sedation Training, Pinnacle Leadership Courses, and a Crown Council member now for over 20 years. He is also a member of American Society for Geriatric Dentists as well as the American Dental Association and Oklahoma Dental Association. In 2001 Dr. Sterling Stalder started a Mobile Dental company that travels into Long Term Care facilities to treat what he considered an under-treated population. Sterling Dental quickly became the leading provider of mobile dental services in Oklahoma in just a few short years. We now provide dental services to Long Term Care Facilities and special needs patients across the states of Oklahoma, Kansas and Missouri. In his free time, Dr. Stalder enjoys riding his Harley and spending time with his wife and 2 sons, and traveling to fun and new places.